Several Boston hospitals began building that platform in 2004 to enable researchers to query vast databases of patients’ electronic health records, letting them study treatment outcomes …. “We could say, ‘I’m looking for age-50 Asian females who were treated with stage III breast cancer,’ … What were their medications, what were their outcomes?” … These electronic health records “have been dumb databases for many years but now they can become decision-support tools and care-management tools ….” Creating such networks could enable smarter and more responsive medicine. In today’s atomized medical system, it can take 10 to 20 years for a major treatment advance to become ubiquitous …. In such a network, hospitals that conduct clinical trials could continually publish results and update their guidelines, and everyone on the network could access that information. Their Prescription: Big Data, IEEE Spectrum, June 2015. My doctor had detected a lump in my thyroid during a routine physical. Another doctor took a sample of that lump and passed it to a lab. The lab sent a report to my doctor. My doctor told me I had cancer and he could “cure” it by removing my thyroid. “Come back in a few weeks and we’ll have that right out,” he said. If ever there was a life changing event for me, that was it. Except as I asked questions, no one had any answers. They just looked at me and said “Bruce, you have cancer” as if that explained what they wanted to do and why they wanted to do it. So I did my research. I’m a researcher. I love digging into data and understanding a problem. The data in this case were published articles in The Journal of The American Medical Association. It seems there were a lot of studies on the removal of thyroids. It was the case that the incidents of reported cancer in thyroids was spiking. Thyroid cancer was currently the fastest growing reports of cancer. However, the vast majority of thyroids removed (70-80%) that were similar to my case, had no cancer once the thyroids were removed, ground up, and thoroughly checked. This was the concern that the studies were trying to address. Another concern addressed in the studies was that while reports of thyroid cancer were spiking, there was no increase in death rates due to thyroid cancer. This was unusual since if cancer was truly going up there should have been a proportional increase in mortality due to it. The bottom line was, I concluded from studying the studies, that the practice of removing scary sounding thyroid cancer was going up because it was being checked for more often and that the tests had a lot of false positives. Why would they then remove a thyroid if the tests were not that accurate? Because, it seems, there was a pill one could take for the rest of one’s lives that pretty much replaced what a thyroid provided. As long as there was a pill, it was “safe” to remove a thyroid if it had cancer or not. In another case I got shingles. The doctor prescribed a couple of pills each day to take and it should clear up in a week or two. It turns out, after doing my research, that shingles normally clear up in a week or two without taking anything. Also, my doctor never suggested I come back in to see him so he could see how his recommended treatment was doing. There was no record of how well the prescribed treatment had worked. So, I wondered, how in this case does a doctor know how well what he recommended worked? In both cases there was plenty of data available to suggest multiple courses of treatment rather than the “standard” treatment that I was proffered. In both cases the doctors just pushed the one size fits all approach and were visibly annoyed when I asked questions and dug for more details. 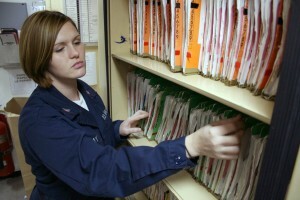 From my research, into the research, I also often saw the observations that everyday medical doctors really didn’t have access to up to date information and that the use of standard practices, that often were outdated and caused harms that could now be avoided, were considered safest — from a liability standpoint — by the doctors and medical institutions. Like with so many problems, as we interconnect people’s experience and current data, the number of solutions go way up. I was always the guy who would go and study the data from past completed projects or defect trends or feature development rates so as to learn how they progressed and what problems and solutions they had encountered. These archives were also just “dumb databases” that were rarely exploited until someone took the time to dig into them. Once we did open them up and started to use them, then all our “standard” practices started to look sophomoric and clearly not based upon the deep experience available in current and past projects. All this good information is out there, if we take the time to find it and mine it. In every case where we’ve done this, our performance rocketed up to a new level of quality and productivity. Are you managing your projects based upon standard, acceptable, safe but rarely successful practices, or are you constantly digging for more data on the best way to improve your project performance?